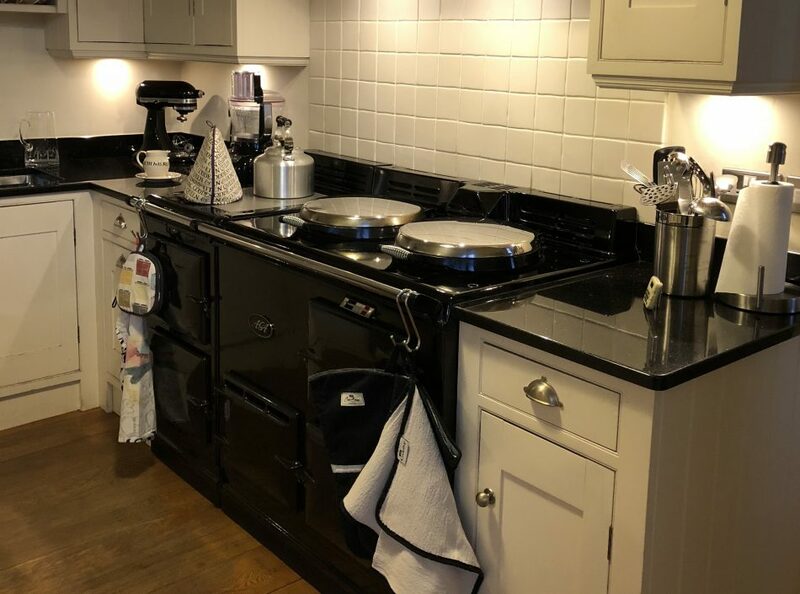 This entry was posted in Aga, Aga tips, chicken, Sunday Lunch, supper, Uncategorized and tagged chicken, chicken thighs, Delia, Delia Smith, Delia's Summer Collection, sherry, sherry vinegar, simmering oven, summer, summer cooking, tarragon. Bookmark the permalink. I know I’ve complained about the heat this summer but I would miss the Aga a lot if it was switched off. Also, it’s a major feature of the kitchen and it would seem odd not to be using something so big. Thank you! We enjoyed it, I must say.